A little while back I made a site with Google App Engine that is a very simple voting website. I tried to mimic the style of StackOverflow in terms of voting, but the goal was to make it much simpler. The site is made to be used to sift through lots of ideas or items. It is similar to reddit, but much more bare bones. If you want to do brainstorming, you don’t need all the features of reddit, you just need the ability to submit and comment. So that’s all it is. 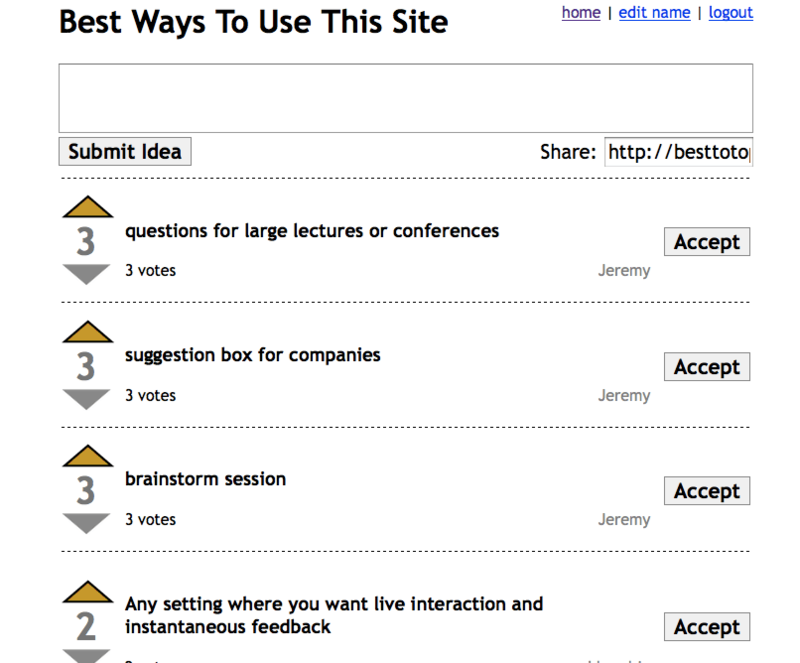 You can create your own lists and brainstorm and vote as much as you want! Next Next post: Popular Site Template, a site that lets you make silly websites!